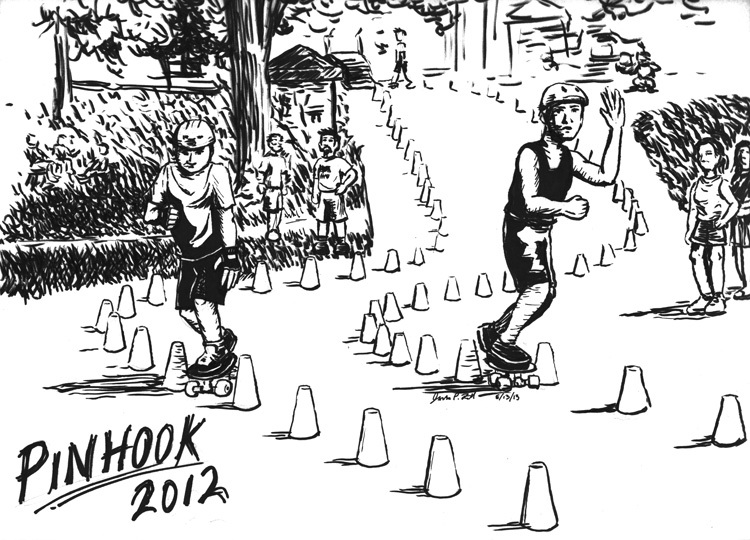 On June 23, 2012, Envision Skate Collective will be hosting a slalom skateboard race to raise money for charity: water. Racers will be coming from all over the United States to compete in Hybrid and Tight Slalom and to earn points toward a worldwide ranking from the International Slalom Skateboarding Association (ISSA). Racer registration will begin at 8:00am, with the first rounds of double elimination competition beginning by 10:00am and continuing all day. 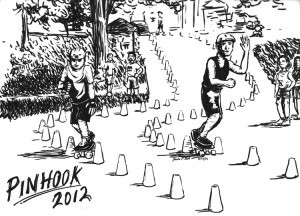 Admission is free to the public, so grab a lawn chair and come out to Pinhook Park in South Bend, IN for some exciting head-to-head competition!